Storytime especially for toddlers & preschoolers! Stories, social time & crafts. Parents, guardians, aunts/uncles, grandparents, or caregivers are all welcome to bring their little ones to Storytime! Storytime courtesy of McCloud Nature Center! Animal Tales will return in the spring ! With the unpredictable weather, this story time will return when the weather warms up. 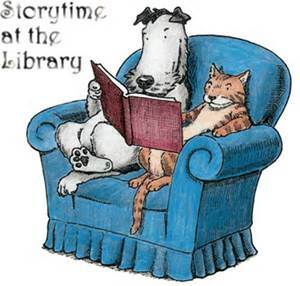 1st Thursday monthly from 3-3:45pm) This Storytime is perfect for preschoolers to upper elementary! Miss Sarah and Miss Amy brings a story, crafts, and usually some interesting artifacts! Past items include furs, bones, and pictures of local animals.